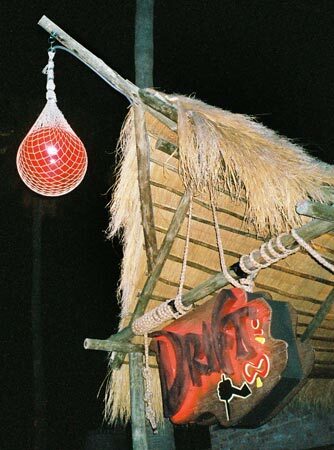 While on a brief excursion to Scottsdale, I checked out The Drift, a tiki bar of recent vintage. 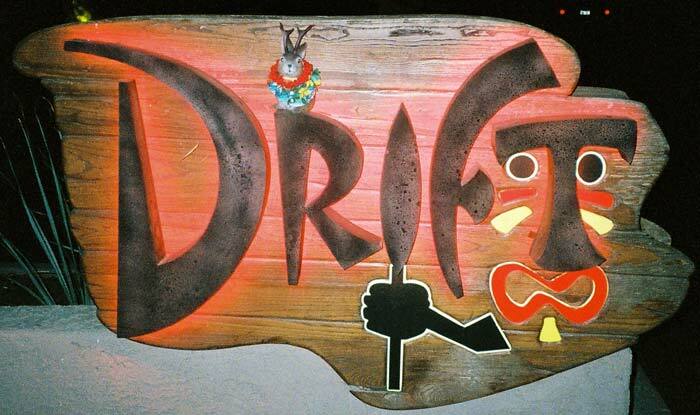 The Drift combines tiki decor with mid-century mod furniture. 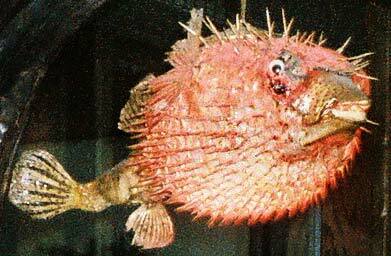 The light-up puffer fish is a staple of classic tiki bars. 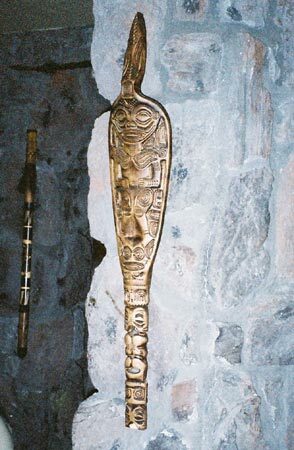 Tiki carvings of various sorts embellish the place. 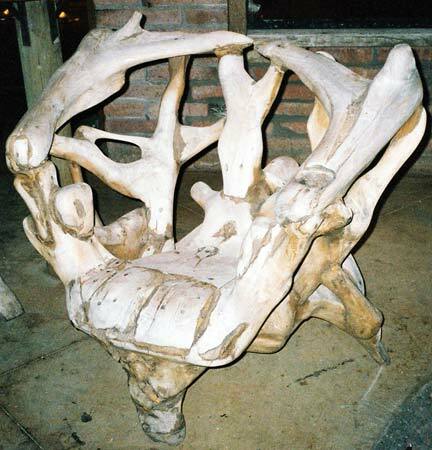 Unique driftwood furniture on the patio. 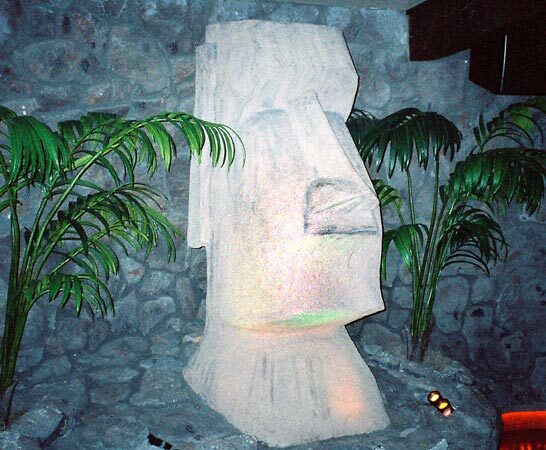 Of course, ya gotta have a Moai (Easter Island head). One must always dress appropriately for a tiki bar. 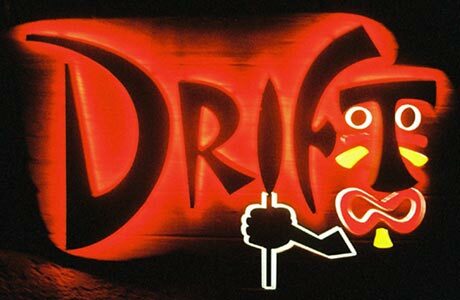 my impression of drift is that its a sort of pre-fab tiki bar with aspirations of becoming a chain and draining your wallet. the food is poor and overpriced (especialy compared considering the service)and the crowd is more of the meat-head frat-boy type. 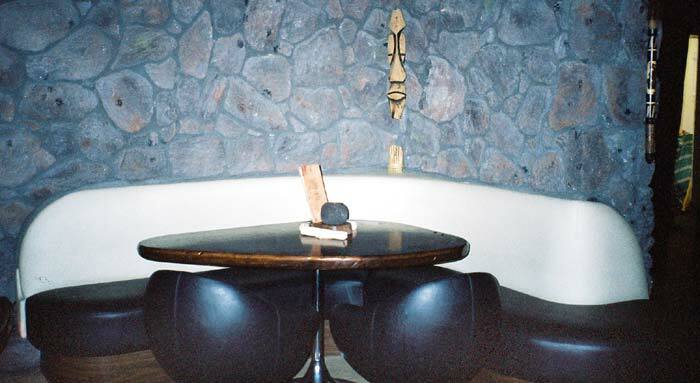 I wouldn't go back... Id rather go to the Bikin Lounge if I was looking for a Tiki experience or TT Road house if I was in scottsdale for a more genuine atmosphere. 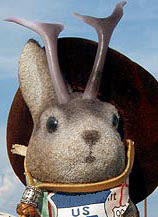 The Bikini Lounge I know about, but please tell us about the TT Road House.